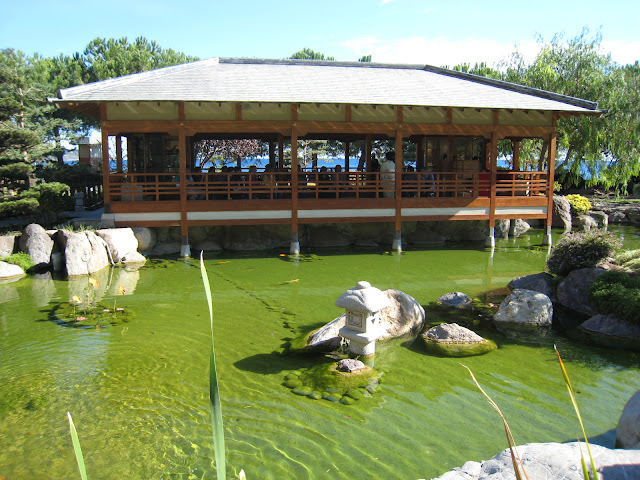 The beautiful Tea House in the peaceful Japanese Garden on avenue Princesse Grace. This looks like a very serene place to have tea....just my style! That seems like a wonderful place to relax. I could use a nice relaxing place to sit for a bit. This could be Kyoto. How did the water get 2 b such a lovely shade of green.